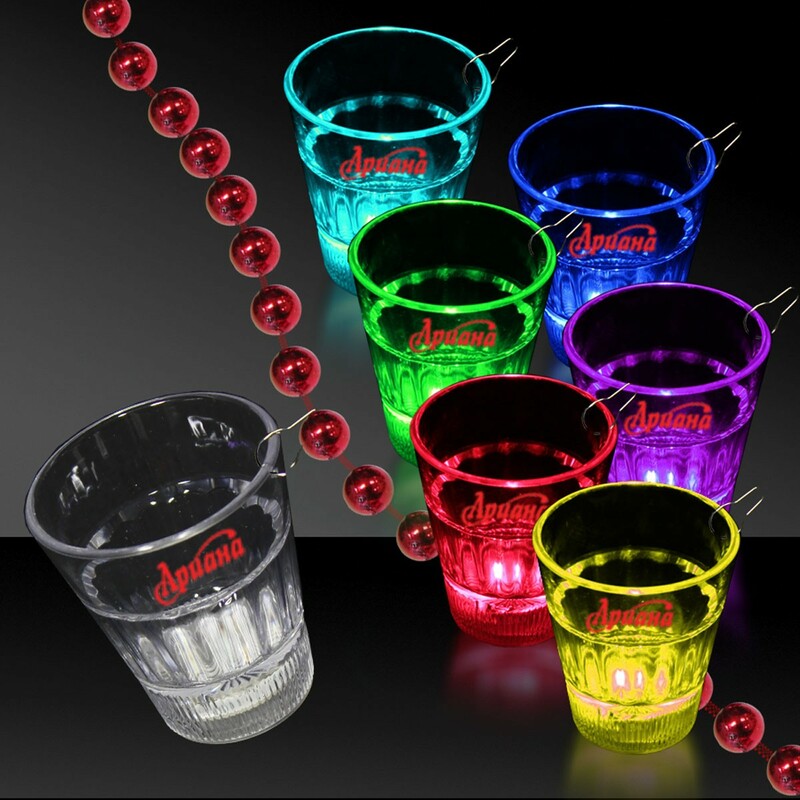 Quick Info: 2 Ounce Multi Color Shot Glass with attached J- Hook IMPORTANT: Please Note, the shades of the product color may vary slightly since we might need to use different dye lots on orders of large quantities. 2 oz. 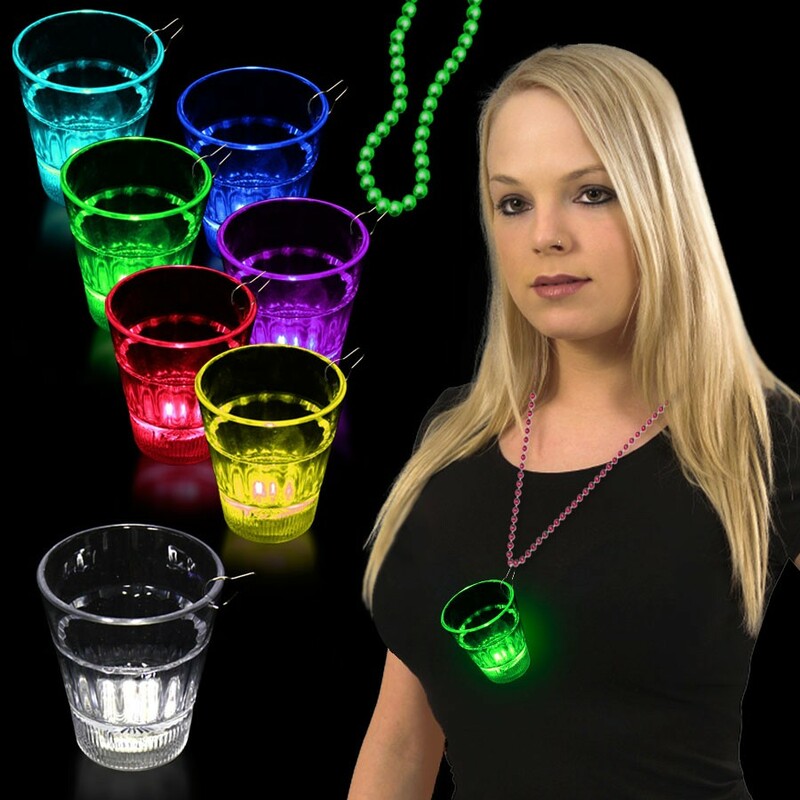 Lighted Rainbow Shot Glass Medallion w/J Hook attached, easily attaches onto ANY type of necklace or lanyard. High powered L.E.D. 's create a dazzling effect. Price quoted is for the Shot Glass only and is sold by the piece. 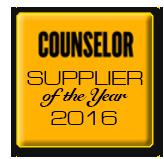 Please check out our hundreds of styles of Necklaces, Lanyards and Mardi Gras beads to complete the look. 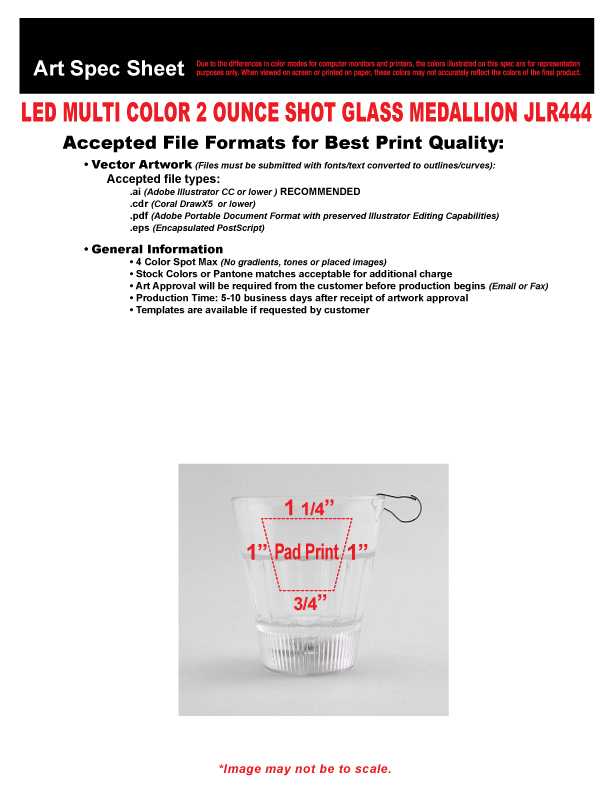 Attachment of the Medallion to our Necklaces, Beads or Lanyards available at additional cost. Please inquire. Please Note: Necklaces are sold seperately.